We are always so busy during the school year with the kids homework and after school activities. It is really hard to squeeze in some time for them to play when they need to finish homework before dinner and have either dance, karate or scouts in the evening. I’ve been trying to reward my kids after school one day a week with a play date outside, especially before the weather starts to turn cold. 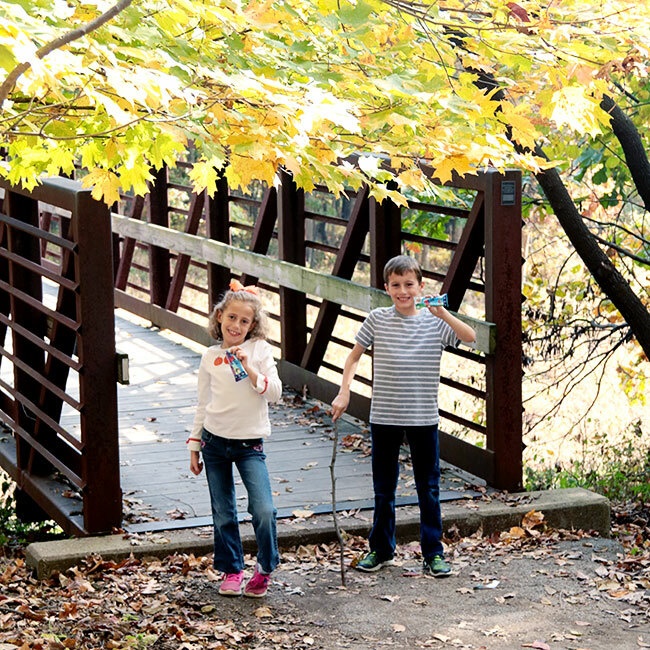 Last week we visited Powder Valley, an outdoor nature reserve in St. Louis with beautiful trails that you can hike. 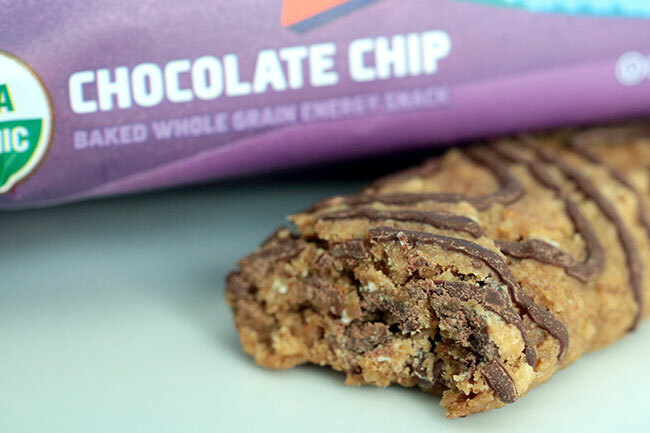 My kids are always hungry after school and I need something quick, easy and healthy to feed them. 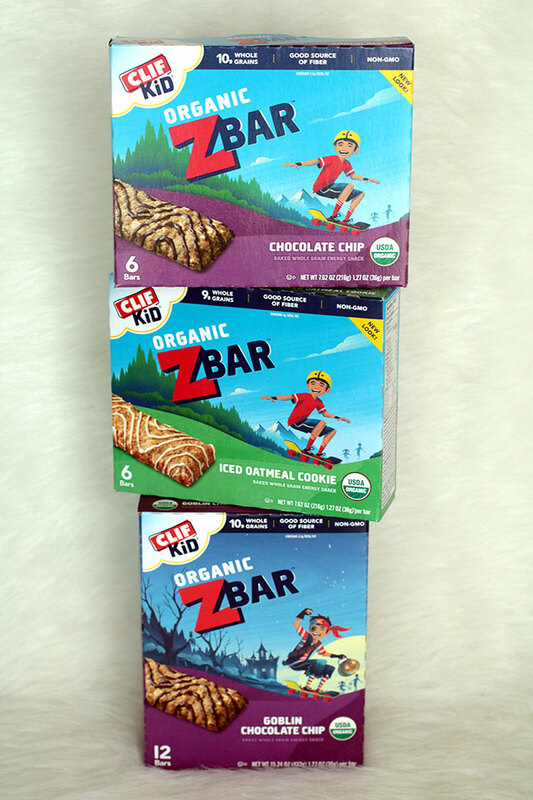 I really love the CLIF Kid Zbar®, because it fills them up just enough before dinner. 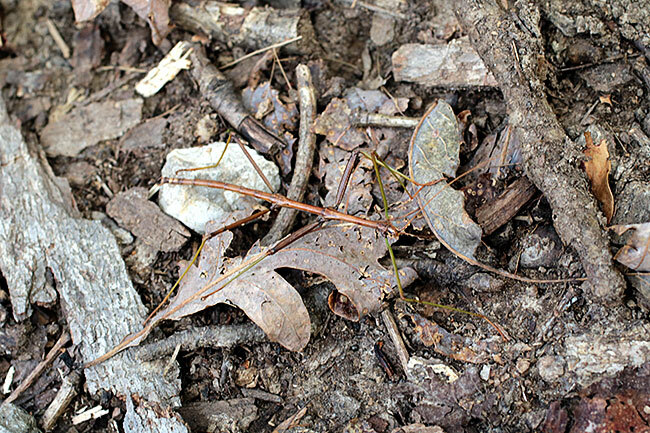 During this particular hike, the kids collected colorful leaves, dug for rocks and even found a stick bug (you’ll see that pictured below!). 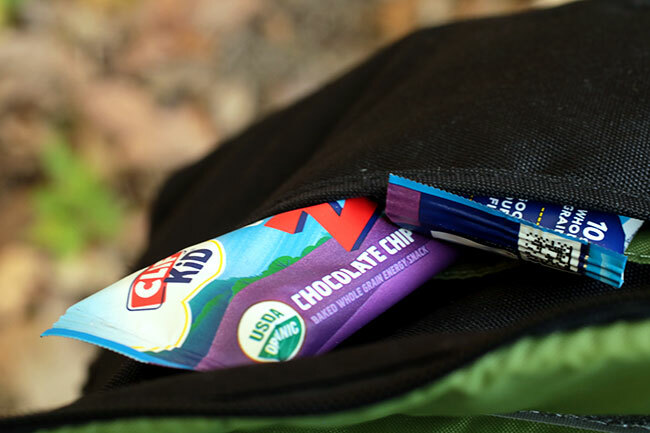 We packed along some CLIF Kid Zbars® for each of us and were set for the mile long hike. 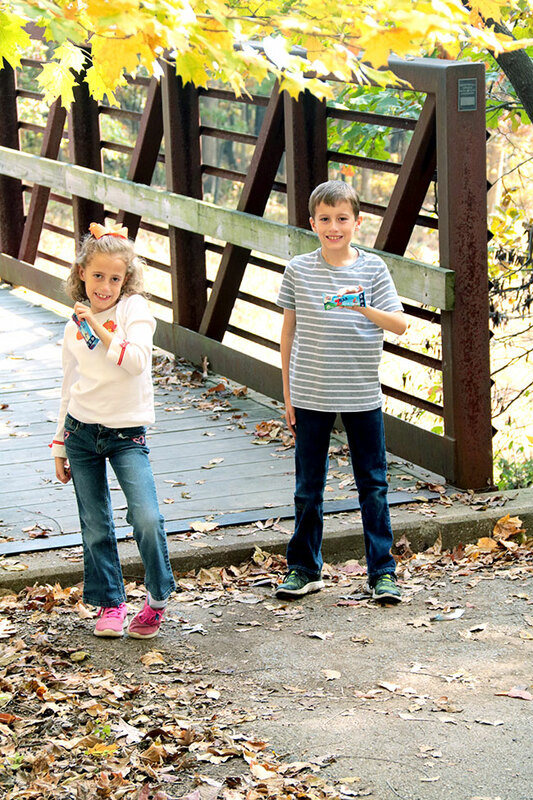 As you can see, the kids enjoyed walking on the hike while they munched on their CLIF Kid Zbar®. 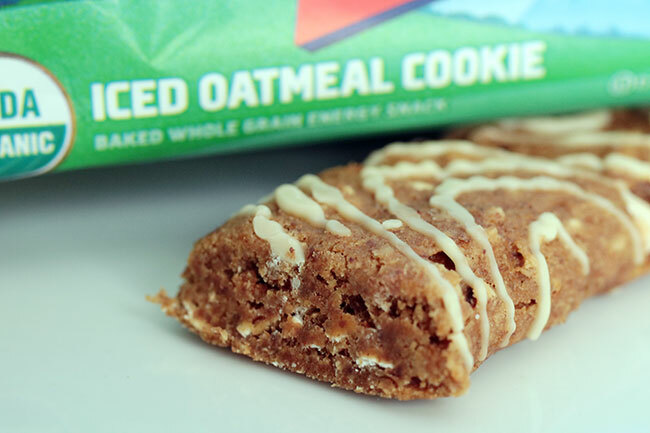 I love that these bars are made with organic ingredients. 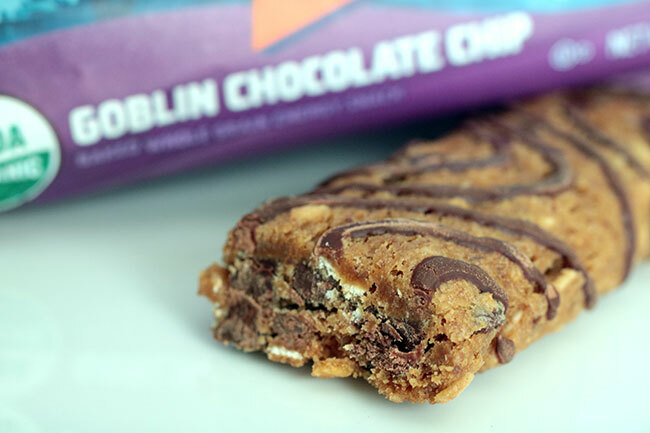 I packed along my camera in my camera bag and these bars slid right into one of the outside pockets. Did you know that play is disappearing at home, in school, and in communities? 70% of moms played outside when they were kids, 31% of their kids play outside today. We are too busy to do a play date every day, but I try to get the kids outside to do something on a day during the week that isn’t too busy. I’ve included below some Quick Play Date Ideas for After School. 1. Hike, preferably somewhere that is safe for kids (not a lot of bike traffic), a shorter trail, etc. 4. Walk around your neighborhood, or let the kids ride their scooters! 10. Some indoor ideas: visit a pet store or humane society, rollerskating/iceskating, board game night, movie night, etc. Here is the stick bug that my kids found during the hike! This is something I would have never seen on my own, but they found it while they were picking up rocks and twigs. I can’t remember the last time I’ve seen a stick bug, probably when I was their age! 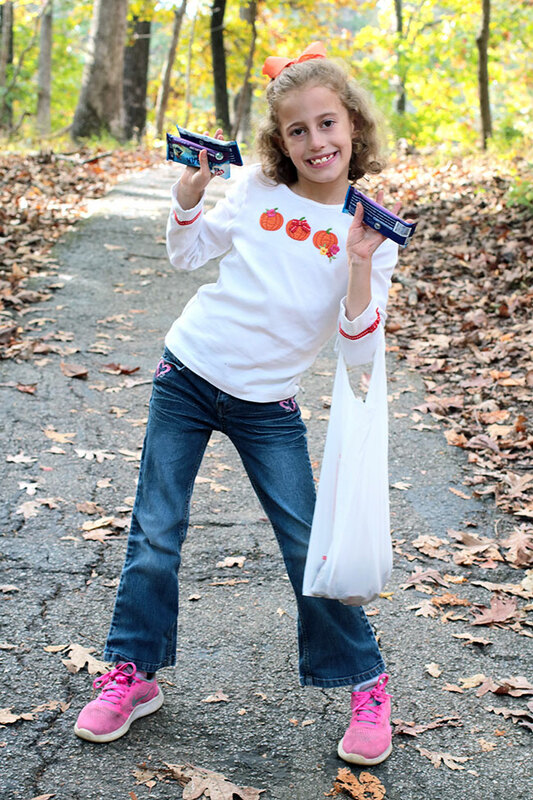 Here is my daughter during our hike. She has a big bag full of rocks, leaves, sticks, etc. to take home. She throughly washed all of the rocks in our hall bathroom sink once she got home. Got to love kids! 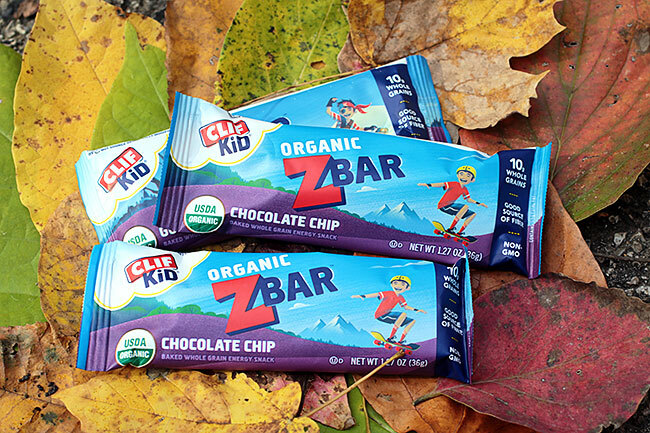 There are three flavors of the CLIF Kid Zbar® that we love, including chocolate chip, iced oatmeal cookie and goblin chocolate chip. It’s difficult to fit playtime in around all the other activities back-to-school brings, but by getting creative and establishing a routine, you’ll be sure your kids are healthy and thriving all year long. Balanced and active play lays the foundation for a skilled, healthy, resilient, and successful society. 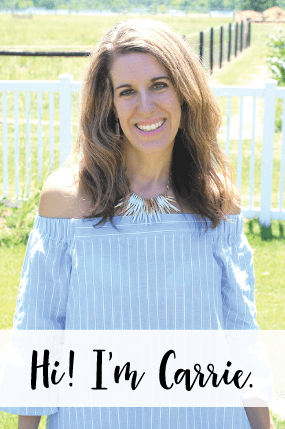 Need more ideas on how to Come Out to Play this school year? 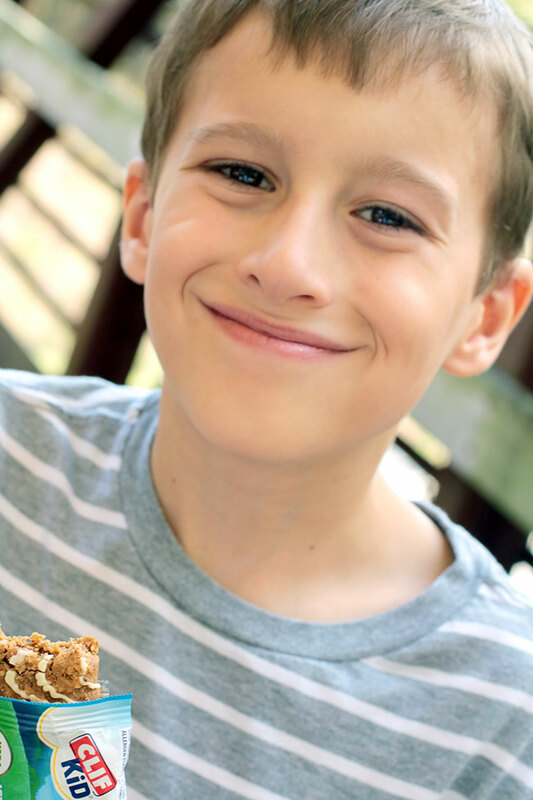 Be sure to visit the CLIF Kid Facebook page HERE. 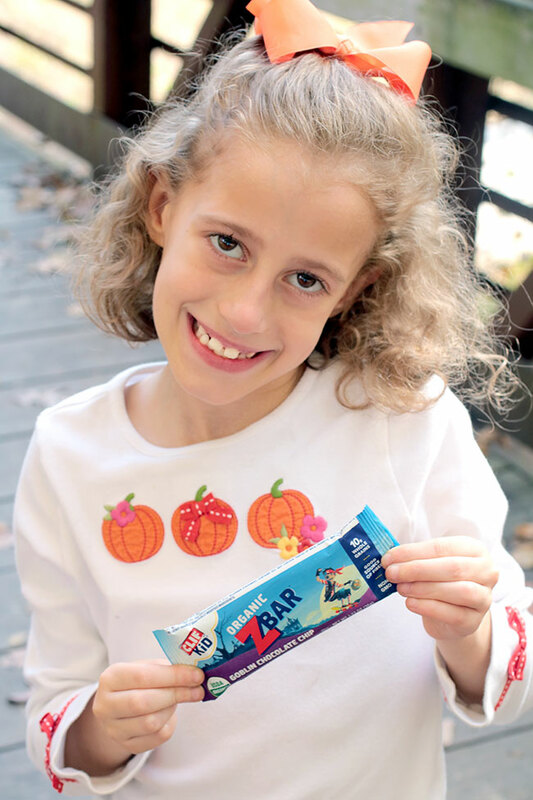 You can also check out THIS video to learn more about making time for play with CLIF Kids®.